I hear this all day long, and although blogging at first glance may seem like something most people do strictly for fun or as a hobby, adding a blog to your existing website can be an extremely valuable long-term strategy for any business. Yes, blogging consistently can be time-consuming (especially if you’re a perfectionist! ), but before you completely write it off, read through the 5 essential reasons your business needs a blog below. 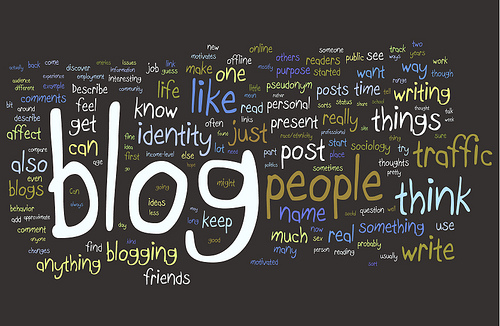 This is easily one of the most valuable reasons for adding a blog to your existing website. Search Engine Optimization (SEO) is made up of a wide-range of components and variables, all of which affect how visible your website is in the search engines (Google, Yahoo, Bing, etc). One basic component of SEO that the search engines love to see is that your website is updated with new content on a regular basis. By simply writing one post each week, you add a new page to your website and increase the amount or relative size of “Internet Real Estate” you own. Over time, the number of places where people can find your content will gradually expand, traffic will increase, and increased SE rankings will follow. Having a blog integrated into your social media strategy is a great way keep your customers up to date with whats going on with your company. Each post can act as a little press release updating your followers on new developments or progress on current projects. 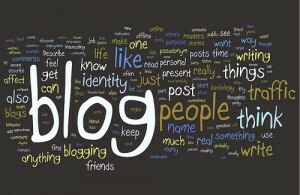 Blogs tend to act as a central meeting place, kind of like a watercooler if you will, for your social networks. When you write a blog post, you can then share it on Facebook & Twitter encouraging your followers to visit your website to read the entire post. This creates traffic and promotes conversation on your website, both of which are very helpful in terms of SEO. When you post regularly to your blog, people will begin to view you as a credible source and authority in your particular niche. A great way to encourage this is to talk about new developments & happenings in your industry in addition to whats going on with your specific company. It is very easy these days to have a good-looking website professionally designed for you, but people have caught on to the fact that anyone can have a slick, flashy website. On the other hand, when someone comes to your website and gets lost in your blog for 30 minutes without reaching the end of your content, they are far more likely to see you as a credible source of information in your niche. One of the great things about blogs, especially WordPress.org blogs, is how customizable they are. When we design blogs for our clients, we use only Studiopress Themes for their professional look and the unrivaled functionality of the Genesis Framework. But how do you connect with people on Facebook who are not currently customers? There are a few ways, but one of the easiest to implement is to start a Facebook Ads Campaign. You can start with a very small budget, and you can target your ads to an extremely focused audience based on your ideal demographic. Here’s a few tips for designing your campaigns. Since Facebook ads can be so focused on a specific market, make sure you know exactly who this market is, then break that market down into smaller segments. From there you can create a series of different ads that show up for each specific segment. Once you’ve broken down your target market into specific segments, don’t just create one ad for each segment, create multiple ads so that you can split test your ads to determine which one works best for each segment. Once you find the laggers, take them out and put in new ads to split test again. After a while you will have a fine-tuned ad campaign where you are getting the best bang for your buck. OK, so you’ve crafted your ads campaign, but now where do you send people when they click on your ad? My best recommendation would be to keep people on Facebook rather than send them to an outside website. There’s far more value in having someone “like” your Facebook page than just showing them your website and hoping they bookmark it. If people “like” your page, you now have the ability to send them to your company website or blog whenever you want (with a status update), as long as they continue to “like” your page. Remember, there can be a fairly steep learning curve with any form of pay-per-click (PPC) advertising, so expect to make a few mistakes and also spend a decent amount of money just learning the whole process. If you need help setting up your Facebook page and/or welcome page, visit our services page and look at our “Launch Packages.” You can also take advantage of our experience with Facebook Ads by signing up for any of our monthly management packages, where we include design on anywhere from 2 to an unlimited number of campaigns. We’ll take the guesswork out of the whole process by designing targeted campaigns for you, as well as manage your entire Social Media Strategy.